Hi all.. Still talking about beauty, this time I gonna write about the new version of Laneige Water Sleeping Pack which comes in lavender. 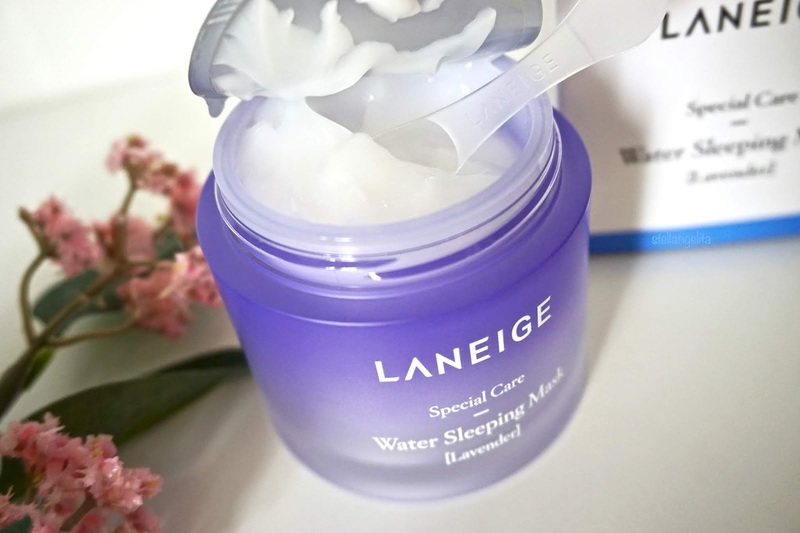 Before I continue, I think all of you must be already know about the benefit of this bestseller product from Laneige. However if you don't know, you can read my blog post about the original version of Laneige Water Sleeping pack in here. 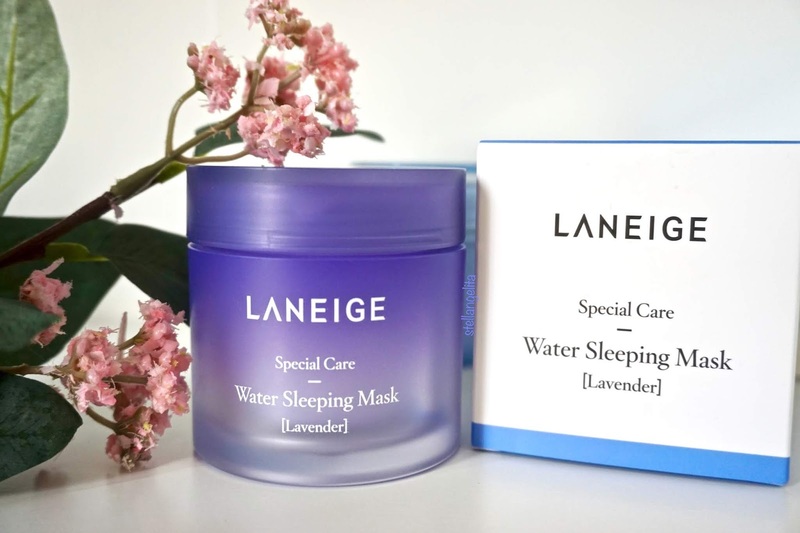 FYI, I've used this sleeping pack for years, and it still be one of my favorite skincare. Since I've written the detail about this product, this time I just want to compare the difference between the original version with the new variant - lavender. All of us must be think the difference only at the fragrance. And that's not wrong. They both have the same function. However, beside the fragrance, they also have a little bit difference in phisically. 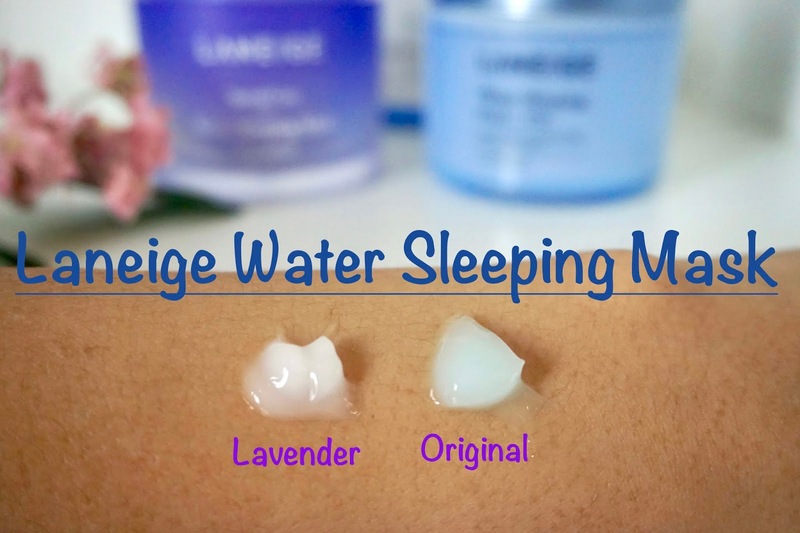 Since the new variant comes in lavender, Laneige produce this new variant in jar with purple color. 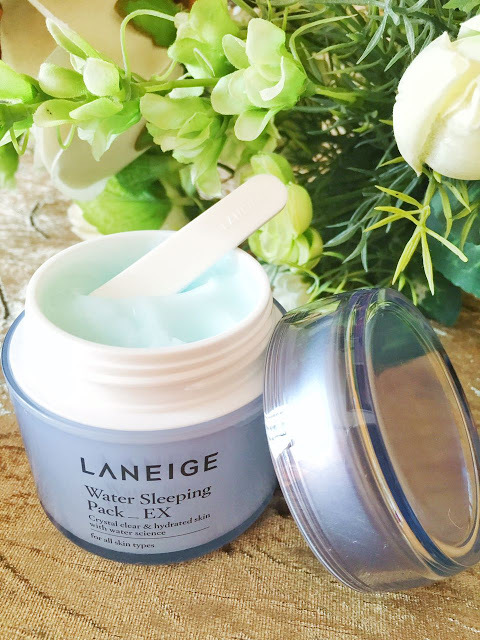 It looks different with other Laneige product which usually dominant with blue color. 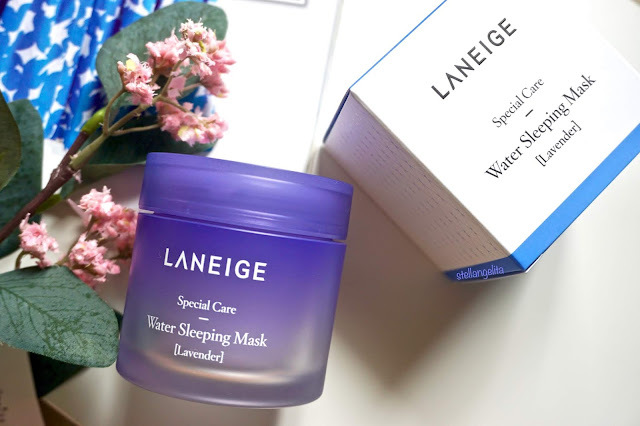 Yet it looks beautiful and makes me want to buy it and put on my skincare shelf. Well, this point was little bit surprising me. 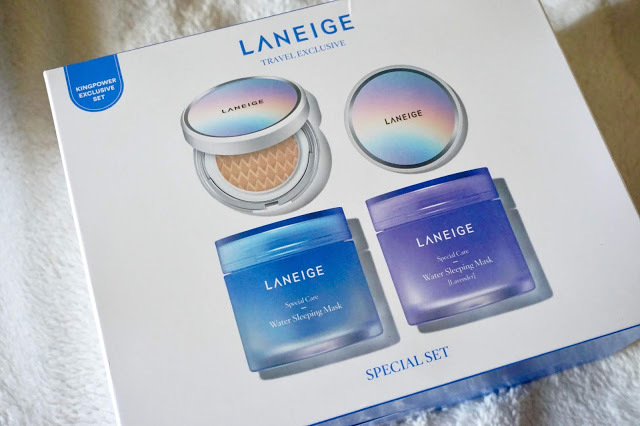 Since the original version comes in blue jar and it has a light blue color for the cream, I was expecting the lavender variant also comes in purple color. But it's not. Unpredictably, the cream comes in transparant - white color. However, it has the same texture with the original version, which is very good to hydrate your skin. This different might be not so important. 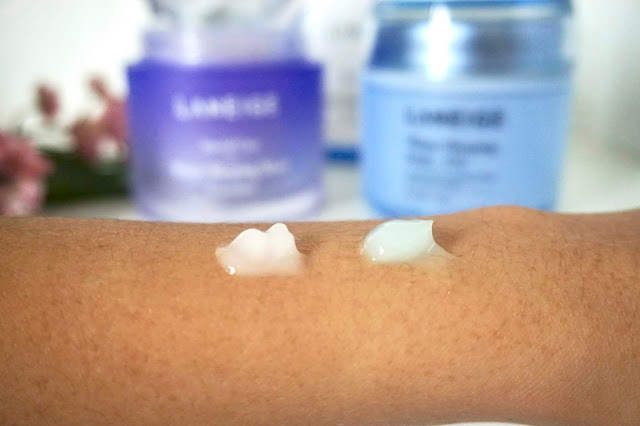 But I just love the way Laneige change their product. When the "old" products just use a simple flat white spatula, the new one use a very small and cute transparant plastic spoon. The new small spoon as an applicator. Can you spot the "Laneige" emboss on it? Just like I wrote above, they have different fragrance. I knew it gonna comes in lavender smell. But at the first time, I thought they'd come in a very strong smell of lavender, like a smell that usually found at natural lavender products. Well, I was wrong. 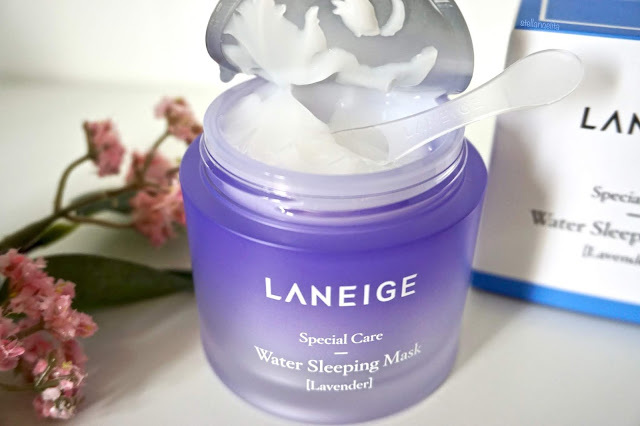 It has a very soft lavender smell, which is very good for relaxing your mind during sleep time. The smell is very different like I thought, and I love it so much. About the price, I'm not sure whether it's more expensive than the original version. Because I got this sleeping pack in a special set that I bought at Suvarnabhumi Airport. If you asked me which one do I like more, I think I prefer the lavender. It's not because I don't like the smell of the original version. But it's because I felt a little bit bored with that fragrance after use it for years. Curious with this lovely lavender smell?? Just try it by yourself and tell me whether you like it or not. [REVIEW] MENGHILANGKAN BEKAS JERAWAT DENGAN FACE OIL KLEVERU?